Slightly less violent than “A Serbian Film” (yesterday’s post) are these gorgeous photos of Brigitte Bardot & Kirk Douglas. 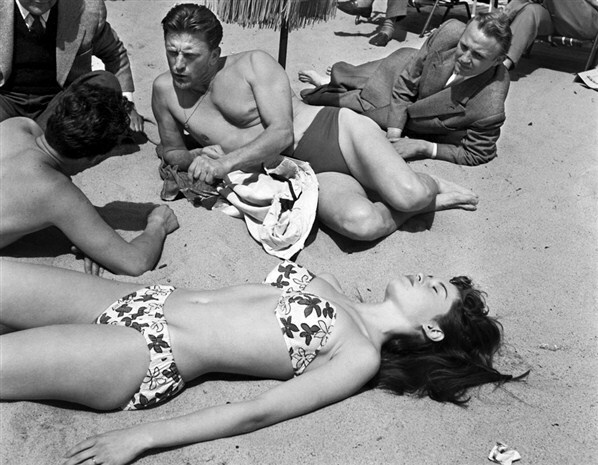 Apparently, they met up in Cannes in 1953, where these photos were shot. During that year, they both starred in a film called “Un acte d’Amour”/“Act of Love” (1953, directed by Anatole Litvak). Douglas had the starring role of Robert Teller, a soldier looking to change his life after the liberation of Paris. Bardot had the small role of Mimi. These photos are a generous contribution of Mr. Jose Salvador Gallegos. Many thanks to him! I am not the author of these images. All rights go to the artist. Photographer Unknown. Previous Previous post: Let’s watch : A Serbian Film or why did the “J” word magically get omitted ?